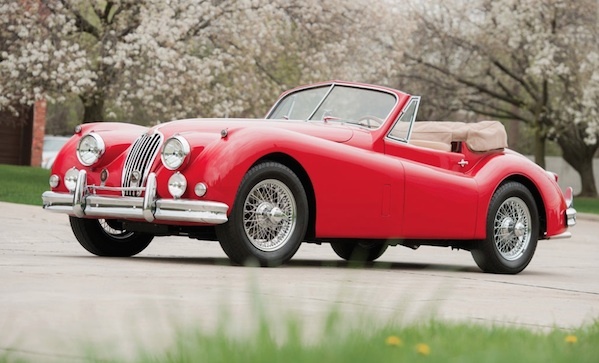 Jaguar XK140-C, nicknamed the C-Type (that’s “competition”), was a highly successful roadster, winning the 24 Hours of Le Mans in 1951 and 1953, driven by legendary drivers such as Jack Fairman, Leslie Johnson, and the man himself, Sterling Moss. They stopped racing after ’53, and only fifty-three were ever built. There’s a 3.4 litre twin-cam, straight-6 engine under the hood, which helped it be the first care to average over 100 miles per hour at Le Mans. 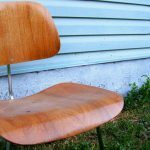 This 1955 model is going to auction on July 26. Dig deep—in 2009, one of these sold for over two and a half million dollars.